Nine Lives Racing: Time For a Brake Yob! Time For a Brake Yob! Got her 350z roadster up in the air. About 75k miles ago, I sourced my rotors from FrozenRotors.com. These little bad boys lasted me a while! To compress the caliper pistons I grip the top of the pads and squeeze. The pad will push the pistons back into the caliper, while using the rotor as a leaver. After this the pads are toast, but I knew that going into this project. After that I pulled the pads and unbolted the caliper. I placed the rotor on the ground to compare it to the new 2 piece rotors. You can see the directional veins. This feature increase air speed flowing out of the rotor, keeping it cooler. The cheaper way of making a rotor is not have non directional or straight veins. This means the rotor was built to a price, and not to be built as good as it could be. Having directional veins is a mark of a purpose built rotor. By now you have also noticed the 2 piece design. The aluminum hat and iron rotor is dome for numerous reasons. Excuse me while I go full nerd! Weight: This combo will save 5lbs per corner. Rotational energy is the hardest to stop. Saving 5 lbs will help stopping distances. Ride quality and grip will increase. 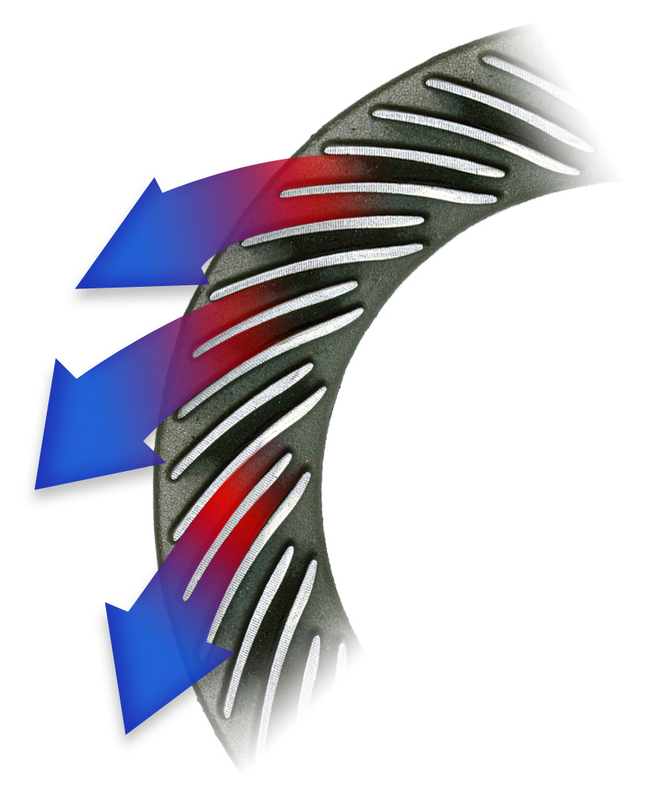 When a rotor gets hot it will grow, this is called thermal expansion. 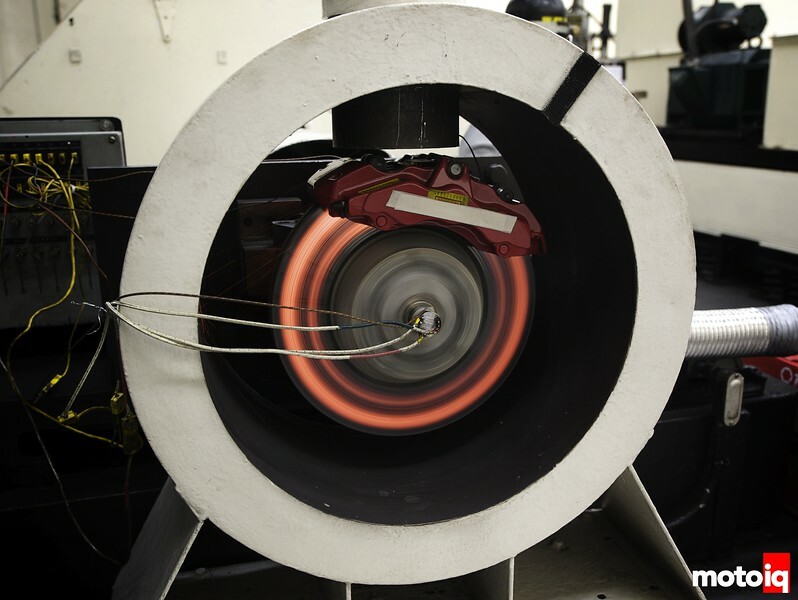 When a rotor gets really hot it will reach the outer limits of outward thermal expansion. After it can't grow outwards anymore it will begin to bend or what people in the brake industry call “cone”. It will bend towards the hottest side. "Coning” creates allot of drag, this ruins pads, kills rotors, destroys top speed, and shells mpg. It’s all around a bad thing to deal with. Back to the install! It is incredibly important to clean your hubs. A little raised will create allot of kick back, and could ruin your new rotors. I grabbed a sanding block and went to town. I’m not trying to buff it to a shine. I’m just trying to removing any high spots and rust. Slid the new guys in ,and re-installed the calipers.